Guess what makes everybody on your list happy? 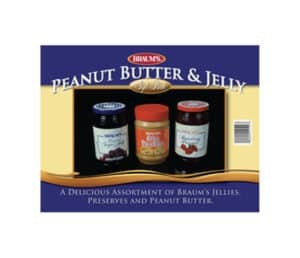 A gift from Braum’s! 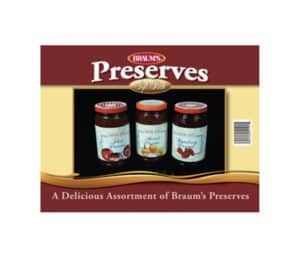 Whether you are looking for a last minute hostess gift (check out our delicious ice cream gifts, cakes or pastries) or a thank you for a neighbor (you can never go wrong with a Braum’s gift card), your neighborhood Braum’s has you covered. Want to give somebody a piece of ‘home’? 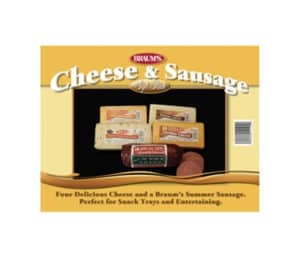 Give a cheese and sausage gift from Braum’s. Want to delight your grandkids? 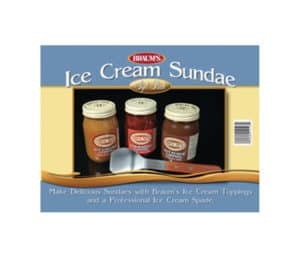 A delicious ice cream gift or other present from Braum’s says you care, you got great taste, and you are a clever shopper.